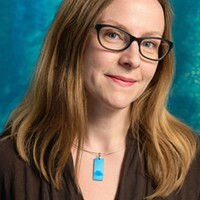 Author photo by Matthew Cotter Hali Felt, who teaches at Pitt, is author of Soundings. Most high school graduates remember something about continental drift, the phenomenon that explains, for instance, why Africa and South America look like two adjoining pieces of a jigsaw puzzle. But few will recognize the name of one of continental drift's earliest and most successful exponents: Marie Tharp. 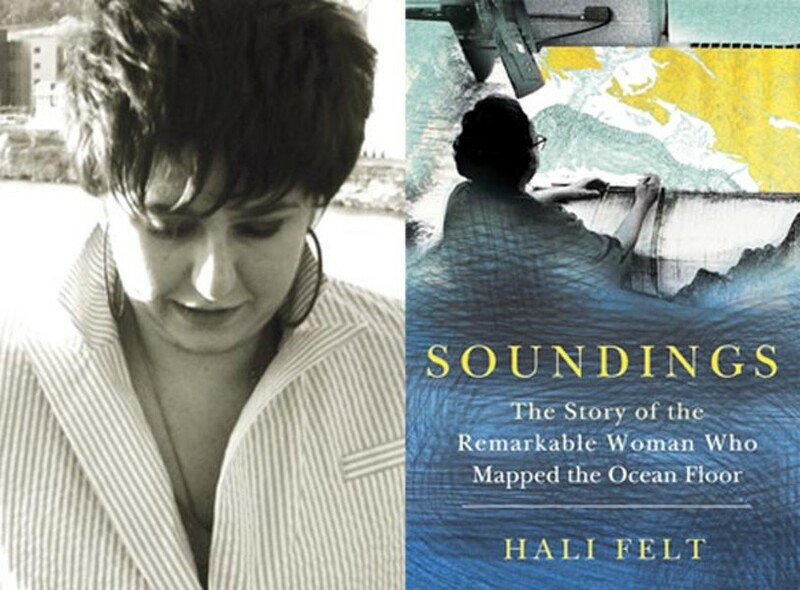 Redressing that wrong, and recounting the remarkable story of how Tharp mapped the ocean floor, are two key objectives of Hali Felt's new biography, Soundings. "I thought she deserved recognition," Felt says. "In order for scientists writing papers in the '50s and '60s to be able to say, 'Oh, the plates are moving,' they needed something to look at. They couldn't have done that without Marie's work." Now a writing instructor at the University of Pittsburgh, Felt initially read about Tharp in the New York Times Magazine's 2006 "Lives They Lived" feature, a roundup of notable people who had died that year. Tharp's life story — discovering a ridge encircling the globe, battling chauvinism at Columbia University, and engaging in a tumultuous relationship with one of her colleagues — immediately caught Felt's attention, and she decided to undertake Tharp's biography. 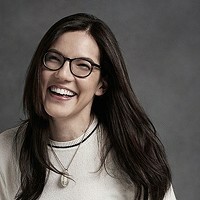 Shortly before submitting an earlier version in 2009 as her University of Iowa master's-of-fine-arts thesis, Felt sold the book to Henry Holt. From then until this year, when Soundings was published, she and her editor reworked the manuscript, transforming it from a simple narrative of Tharp's life to a wide-ranging account of her achievements. "We worked tirelessly on this thing for basically five years," she says. "I like the book much better [now]. I was really fortunate to find the perfect editor." Felt is a writer, not a geologist, but a story of Tharp's life necessitated a thorough understanding of the science she practiced. Felt had no choice but to immerse herself in volumes of documents, correspondences and maps. "It was a very steep learning curve," she says. "I wasn't into science — in fact, I hated it. Then I discovered this woman who I was interested in writing about, and I was like, 'Well, I'm actually going to have to understand the science of her work.'" At the same time, Felt believes her lack of experience with Tharp's discipline afforded her a unique perspective on her approach to mapmaking. "There were certain ways that I could look at what had happened and see things that people who were insiders hadn't seen before," she says. "The people who weren't around her on a day-to-day basis couldn't have known what her process was like." In particular, Felt says, few people appreciate just how much ingenuity Tharp exercised in filling in empty portions of a map. "She had to think about not necessarily just what the data said, but use a kind of intellectual creativity to figure out what was in the blank spaces," Felt says. "And then when she started to draw, it obviously became an artistic endeavor. Just because you're drawing geological features and the ocean floor doesn't mean that it's not art." The depth data Tharp used was gathered by Bruce Heezen, her colleague at Columbia and eventual life partner. From their early days together through Tharp's bitter parting with the university, they shared moments of hostility and intimacy in equal measure. Because Felt had only interviews and letters at her disposal, she decided to recreate many of these exchanges in the book, imagining various scenes and conversations. "In the case of this book, it's more important to get the story of these physical moments in Marie's life than to skip over them," she says. "I did my best to stay loyal to the facts as I knew them." Although Tharp's accomplishments helped to overturn longstanding geological misconceptions, they went underappreciated during her lifetime. Partly this was because maps were sometimes considered less crucial to science than papers. But her gender also played a significant role. "Women are just horrifically underrepresented in most of the sciences," Felt says. "It's still happening, and it's an awful thing." Felt hopes Tharp will receive the recognition she deserves in the coming years. And if reviews of Soundings are any indication, it may come sooner rather than later. Booklist, for instance, deemed the biography "an exceptional story written by an exceptional writer." Published in July, the book also earned strong notices in Nature, Publisher's Weekly and BUST. But even if Tharp becomes a household name, there will doubtlessly remain countless others whose accomplishments are in need of a champion. "I'm sure there are thousands of women scientists who've played huge roles in helping us understand how the world works [who are] are still unknown," Felt says. "What it takes is people wanting to tell those stories."